Description When i replaced my radio i stuck one strip in the vents. Then have three strips spaced out under the dash. One to show off the carbon fiber pedals one strip in the middle and one by the passengers feet. I used a round switch and just tapped into my cig lighter wires. Then put black elecrtic tape around the round switch to make it fit snug and stuck it in my aux outlet. And whala. 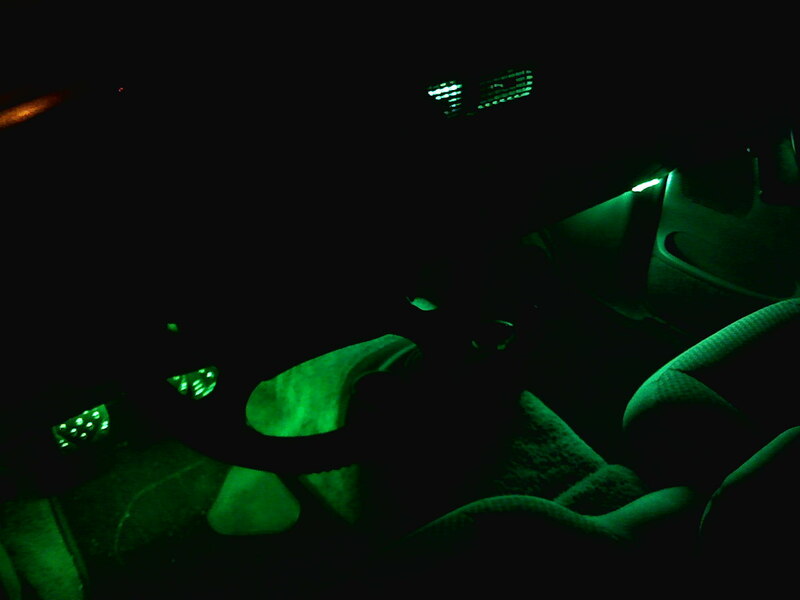 Green Lights. Which is great because my dome light never worked.